Webb & Ord is a full service law firm practicing business litigation, breach of contract law, civil litigation, class actions, partnership disputes, real estate litigation, real estate non-disclosure law, real estate fraud, , and real estate broker defense in all state and federal courts in all counties of California. The hallmark of our service is attention to the needs of our clients. When representation requires litigation, we are aggressive trial attorneys who fight to protect our clients’ rights. We also believe in reasonableness and cooperation and we understand how to achieve our clients’ goals through economically responsible strategies. Serious business disputes demand the support of skilled and experienced trial attorneys to protect your rights. Webb & Ord have represented companies large and small in a broad range of business law matters, including breach of contract and intellectual property litigation. We pride ourselves on the fact that our business clients repeatedly rely upon us to represent them in “bet the company” litigation. Have you or someone you know been fired because of protesting unjust mistreatment in the workplace? Are you experiencing harrassment or discrimination on the job? To be freed from unjust treatment, call us. We are located on the corner of Hollywood & Vine Street. If we do not win at trial, you do not pay our contingency fee. Do you feel you or a family member may be a victim of surgical error, the faulty administering of medicine or misdiagnosis of your health condition? Let Webb & Ord take a look at your case for a free initial consultation and give you an honest appraisal of who should be held liable for these mistakes. 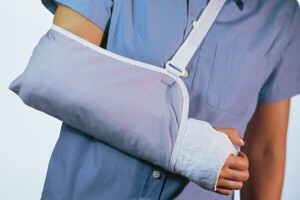 Picking the correct attorney to handle your personal injury claim can be a difficult choice. Webb and Ord have over $30M in results and can help you too. We are located at the corner of Hollywood and Vine and handle major personal injury, product liability, car accident, wrongful death and bike accident lawsuits. Webb & Ord are the leading car accident attorneys in Hollywood, and located on the corner of Hollywood and Vine — easily accessible by the Los Angeles subway and bus system. Contact the car accident attorneys at Webb & Ord today for your free consultation. I knew I had been defrauded but I didn't know exactly how. Webb and Ord showed me how the fraud had occurred, but more importantly, Webb and Ord showed the other side's attorneys why we would win at trial-- and the case settled well in my favor. I highly recommend Webb and Ord for California real estate and fraud cases. The best California real estate attorneys in Los Angeles. Period. Judgment in excess of $3,700,000 in civil litigation. $165,000 settlement in a contentious insurance coverage matter. Judgment for plaintiff in excess of $989,000. Fill out the form below and we'll be in touch as soo as possible.